Thanks to Alan Gornik, a frequent reader, for sending this in. 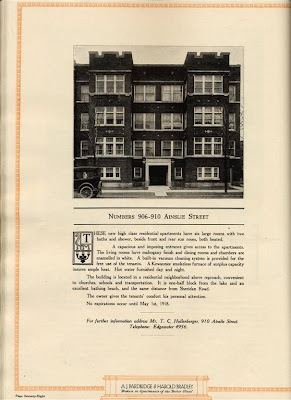 It comes from the Directory to Apartments of the Better Class Along the North Side of Chicago, published in 1917. Click to enlarge. 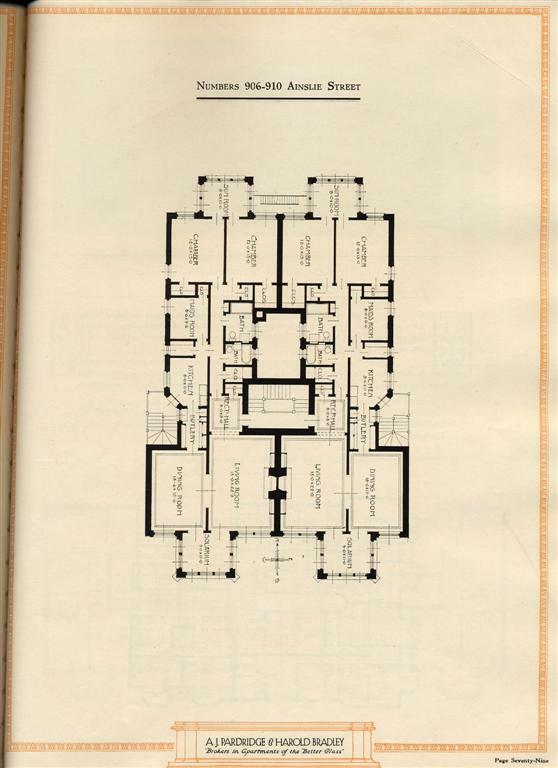 Note that the floor plan include a maid's room! You can see how it currently looks here. 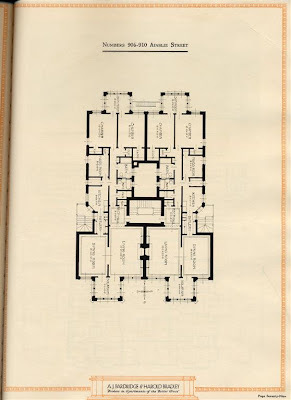 The description reads: These new high-class residential apartments have six large rooms with two baths and shower, beside front and rear sun room, both heated. A capacious and imposing entrance gives access to the apartments. The living rooms have mahogany finish and dining rooms and chambers are enamelled in white. A built-in vacuum cleaning system is provided for the free use of tenants. A Kewaunee smokeless furnace of surplus capacity insures ample heat. Hot water furnished day and night. The building is located in a residential neighborhood about reproach, convenient to churches, schools, and transportation. It is one-half block from the lake and an excellent bathing beach, and the same distance from Sheridan Road. The owner gives the tenants' comfort his personal attention. No expirations occur until May 1, 1918. 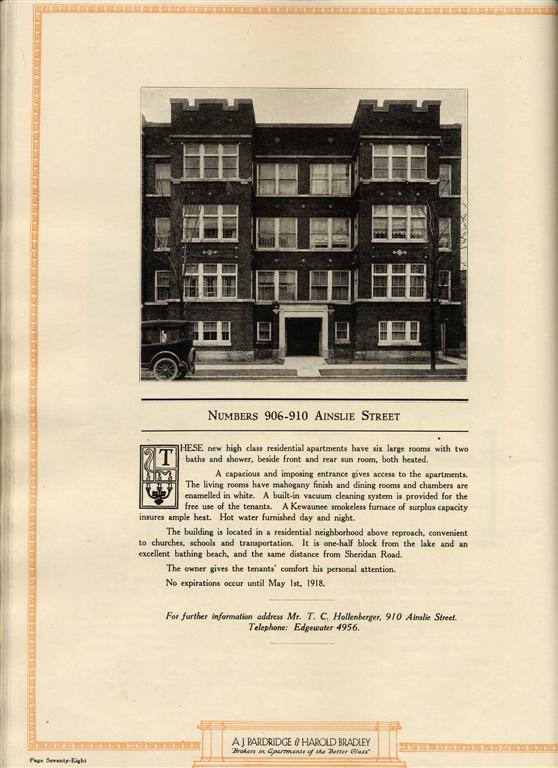 For further information, address Mr. T. C. Hollenberger, 910 Ainslie Street.